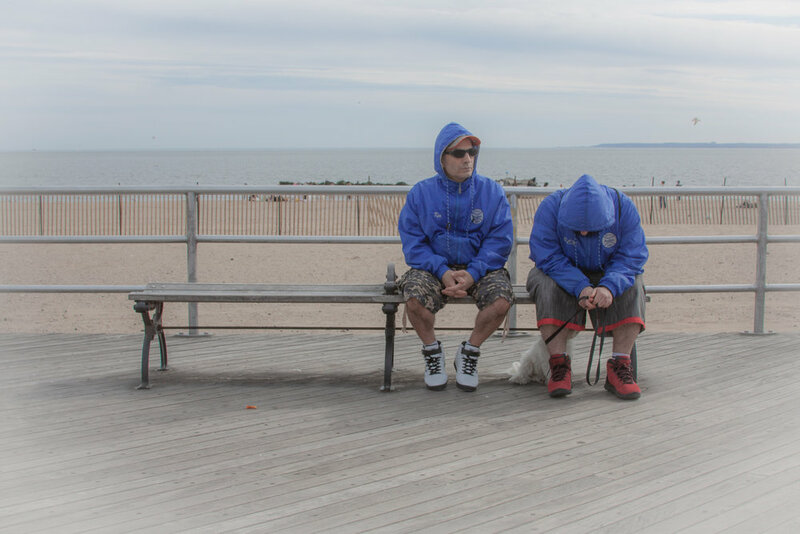 You see all kinds of people on the Coney Island boardwalk. And sometimes, these people seem to be ready-made for a camera - any camera - to take their picture. There was the woman in full Kabuki make-up, the guy decked out in top hat and old fashioned tux and weighed down with all kinds of decorative chains and metallic objects, and the wedding couple covered in head-to-toe tattoos and piercings. And, of course, there are the whole range of costumed boardwalk performers. Early on, I took the bait, and snapped these pictures. But they invariably disappointed me when I reviewed them later. I quickly learned that, for me, the made-for-Instagram images were never as interesting as those of the “regular” people I see, just eating a hot dog or grabbing a selfie, or sitting next to a stranger and watching the rest of the day’s crowd pass by. They’re just everyday people being themselves, going about their day, and without the make-up and the costumes, they’re always somehow more revealing and, for me, a whole lot more fascinating, and often revealing.